I’m embarrassed to admit it, but I had known about Fr. Ferrari for some months before it dawned on me that “Ferrari” was not his real name. He was christened Francesco Amado Pacelli–of Italian blood, to be sure, South Philly-born, but no Ferrari. His priestly moniker, if we can call it that, was owing to the automobile he drove. He rolled through the streets of west Philadelphia in a red Ferrari F12 Berlinetta. The car was not brand new, but always meticulously shiny, and of course curved in all the right places. Seen from a distance and taken out of context, Fr. Ferrari seemed easy to peg: a parish priest given over to absurdly high living, to decadence even. But up close that perception came strangely out of focus. For Fr. Ferrari was one of the most devout and selfless priests anyone knew. Still, there was the matter of the Ferrari. Fr. Ferrari let the questions linger longer than he should have, but eventually he offered a standard explanation. He would tell of his paternal great-grandfather, Amado Pacelli, who immigrated to America from Italy in 1923, and of Amado’s brother Giovanni, who planned to come soon after but was kept back by the restrictive National Origins Act of 1924, which reduced the flow of Italians to America to a trickle. He would describe how Giovanni instead took a job in 1929 with a new car company, Scuderia Ferrari, founded by Enzo Ferrari, a close friend of the family’s, and did well in the company, got promoted, and came to hold a significant portfolio of Ferrari stock. He would explain that Giovanni, having died childless, left in his will a substantial share of the stock to his nephew, Fr. Ferrari’s grandfather; and that Fr. 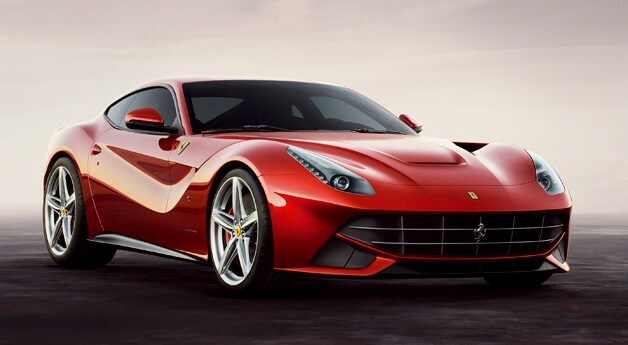 Ferrari’s father, having inherited the stock, eventually sold most of it back to the company, receiving as partial compensation a new Ferrari every three years, with the proviso that the old one be traded in for the new. He would confess, finally, that the so-called “Ferrari clause” ultimately passed to himself as his father’s sole surviving heir.